Founded in 1944 by John and Mary Tewes, the popular attraction is now operated by their son, Dan, and his wife, Darlene. Dan is one of 17 children born to farm's founders. 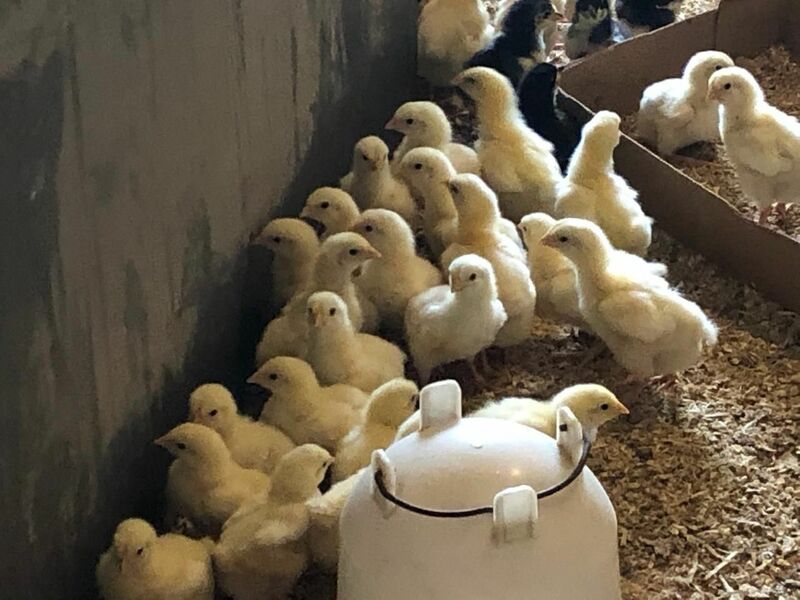 "We are the only farm in Kentucky that I know of that still raises, dresses, and sells poultry in the same place," Dan Tewes said. But there have been changes over the years, including the prices. "Back in the day, my dad used to sell the eggs for a penny apiece," he said. "He would sell the chicks for a nickel. Then he found out he could dye the chicks a color and he would charge twenty-five cents a chick. You can't dye chicks anymore, but my dad had a patent on it." Chicks still roam the farm and are purchased as chickens by the pound, already dressed for cooking. Baby rabbits are still on the farm, but Tewes may be getting out of the bunny season, too. November and turkeys is where the farm's fortune lies. Tewes said his farm sells enough turkeys at Thanksgiving to make the whole year worthwhile. "Ninety percent of our business comes in November, particularly the week of Thanksgiving," he said. "It's our money month. Other than that, we have a small business all year around with fryers and eggs." 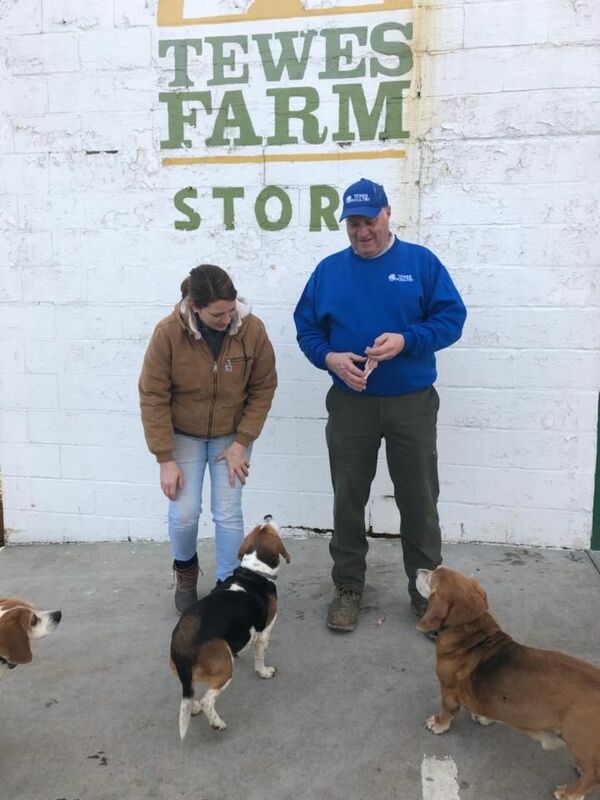 Dan's brother, Tom, is a partner with him in the farm. Dan explained that Tom always took care of the fields, and he would take care of the turkeys and chickens. Tom grows hay in the fields, but the feed for the poultry is purchased, because Dan says it is cheaper to buy it than to grow it. Tom also has three beef cows at a time. He raises them, and then sells them and buys three more. Other than the rabbits, and the farm dogs and cats, the cows are the only non-poultry animals on the farm. Retired now, Tom drove a tractor trailer for twenty years. The farm is open about 10 a.m. to 6 p.m. Monday through Friday, and 10 a.m. to 4 p.m. on Saturday. "If you need something on Sunday, you're going to have to call me," Dan said. Dan and Darlene's five children take turns coming over to the farm and helping out. They take care of the customers who want eggs and fryers. Dan remembers his dad finding a cracked egg once, and it didn't faze him. "You have to crack 'em to eat 'em!," he told the customer. He also remembered when one day a customer apologetically handed his dad a hundred dollar bill, asking if he could change it. Not missing a beat, his dad quipped, "I can change anything but your mind!" John and Mary have passed on now, but they live on through their children and eighty grandchildren. The family hasn't done much to celebrate the 75th anniversary. It's a milestone, but life goes on, and work has to be done. A few weeks ago the family celebrated with a mass at St. Joseph church in Crescent Springs, and then a meal at PeeWee's. Dan said they have a wedding coming up, as well as Memorial Day and Fourth of July celebrations, but nothing else that really sets the year apart. He commented that he doesn't have any plans for the future. "I don't make any plans," he said. "We like to take little vacations, but it isn't planned way ahead." In a way, the work is such a part of everyday life, that it hardly feels like work, he said. "I've been around long enough, that it's not really work to me," he said. "I can get it all done. Unless there is a catastrophe, like back in 2008 when a roof blew off." As good as it is, living life on a farm, Dan said none of the kids really want to take it over. He said he doesn't know if farmers actually retire. Standing there looking out over the land, remembering the trees he and his siblings climbed as children, he pondered the question of whether he could envision a future where Tewes Poultry farm didn't exist.